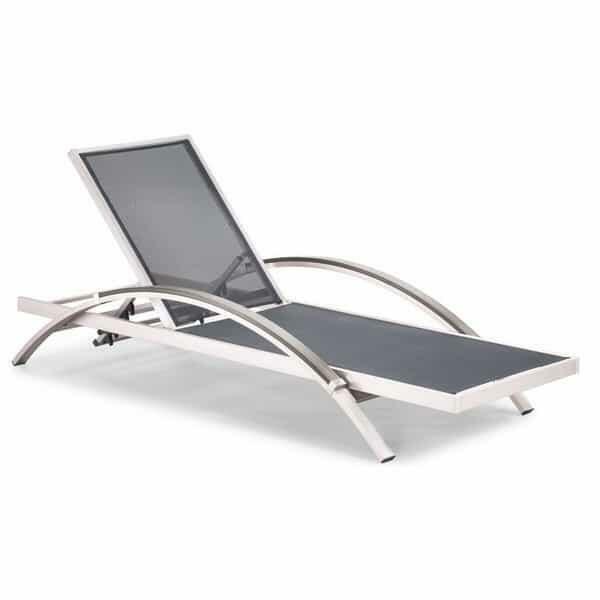 The Metropolitan Chaise by Zuo Modern is a gorgeous piece of contemporary patio furniture which gives a distinct nod to the 20’s Art Deco style. The dramatic curved armrests and brushed chrome-like aluminum finish add to the artistic flair of this amazing adjustable chaise. The Metropolitan Chaise is completely weather-proof and requires no special attention to keep it looking grand; the rust-free aluminum frame, polyethylene trim and sling fabric seat are designed for long-wearing comfort. Speakeasy and relax in your Metropolitan Chaise Lounge by Zuo Modern.